The new report from the Intergovernmental Panel on Climate Change on limiting global warming to 1.5 degrees Celsius predicts a tolerable climate-changed world. Why is it tolerable? The IPCC predicts the ice caps and Greenlands ice will go away. They predict that the world will lose coral and animals and insects. The world has been showing for decades that we can lose ice at the poles an in Greenland and we can lose animals and we can lose coral and we will not change. The world has shown that those things can be lost and the world will not stop or upend the economy. * the World Wildlife Fund found that the world marine vertebrate population declined by 49 percent between 1970 and 2012. There have been millions dying prematurely from air pollution. 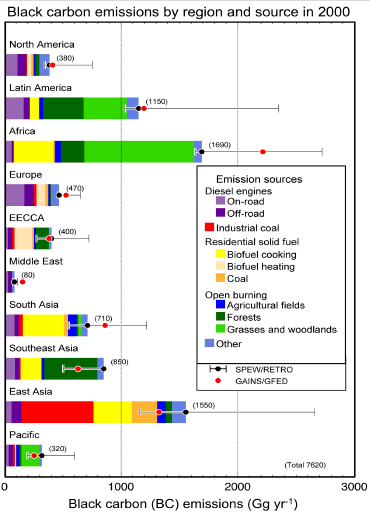 US and Europe addressed the worst of the air pollution in the 1960s and 1980s. China also tolerated massive air pollution for economic development using coal and is now spending tens of billions to fix it. It was only when the populations in the cities would not longer tolerate smog filled air that serious action was taken. The media coverage describes the described 1.5 degree celsius and 2.0 degree celsius worlds as grim. The IPCC researchers estimated the global economic damages from warming — $54 trillion if the world warms by 1.5°C by 2100, $69 trillion if temperatures reach 2°C. They described a downpayment on fixing this at $48 trillion over the next 20 years. However, the costs on world transformation would continuing scaling to hundreds of trillions in the crash program that is proposed. Radical attempts to alter the world economy would be more costly than allowing higher temperatures. The results for the baseline no-policy case indicate that economic damages along median temperature change and median damages (median-median) reach 4.5% of GDP by 2100, with an uncertainty range of 2.5% and 8.5% resulting from different combinations of temperature change and damages. The predicted damages occur in the second half of the 21st century. It is cost beneficial today to work at reducing soot and air pollution particulates. The health and economic benefits pay for themselves. It will be economically beneficial to convert to self-driving cars and trucks. This will boost the supply chain efficiency. The Nobel Prize winning economist, William Nordhaus, has indicated that it is not worth trying to keep temperatures below 2.5 degrees celsius of change. How can we speed up the clean up? We have to research for better and more profitable clean technology. Technology like Thorcon molten salt reactors could be built by hundreds at shipyards. The world will be very different by 2060. Population will increase from 7.7 billion people to 10.2 billion in 2060. Asia’s population will go from 4.5 billion now to 5.2 billion in 2060. Africa will increase from 1.3 billion now to 2.9 billion in 2060. The world should get twice as rich by 2060 after adjusting for inflation. Asia will get four times as rich by 2060. Asia will be a richer on a per capita basis than Europe is today. The world will have gone from 55% urban now to over 70% in 2060. All of North America, Europe, Asia and most of South America and parts of Africa would have housing and air conditioning. The world has been tolerating millions of premature deaths per year from air pollution for decades. This should not have been tolerated but it has. 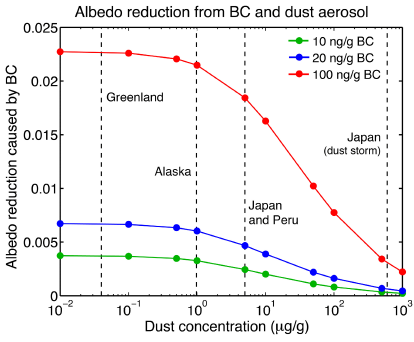 It would be twenties times cheaper to directly fix particulate and soot air pollution than to work on complete fixes for CO2. 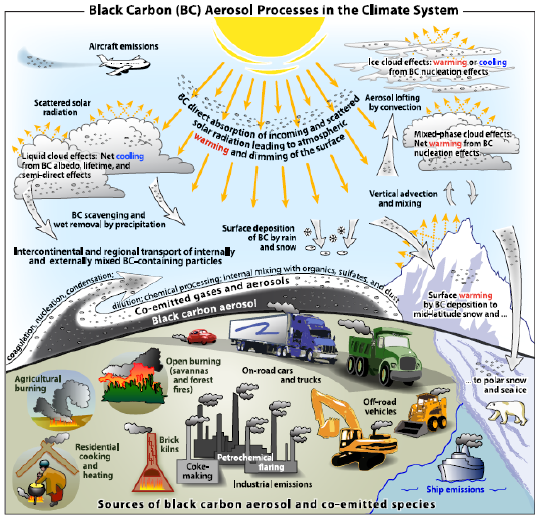 Fixing soot would reduce warming by 0.5 a degree or more and this would be faster climate impact because soot removal rapidly has an impact by making the color of snow whiter to reflect more heat away. A wealthier world can fix more things. Wealthier people will want cleaner air and a cleaner world and will be willing and able to pay for it. « Earnings From Cryptocurrencies: Buying A Lambo With Income From Masternodes – A Dream Or Reality?